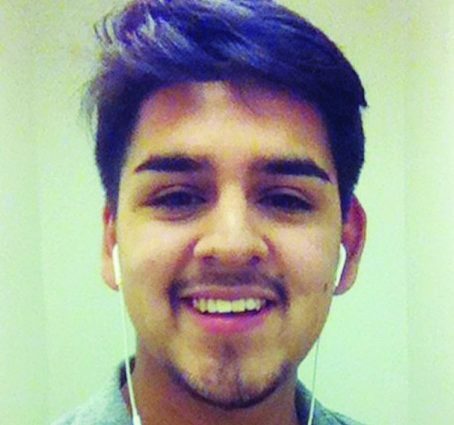 Austin Zavala, an East Los Angeles college student, was stabbed multiple times in the chest on April 9 while taking the Montebello 10 bus to ELAC. The last update on Zavala is that he is still in critical condition. The stabbing happened at 10:13 a.m. on Whittier Boulevard. The suspect has been arrested and identified as Manuel Ortiz by the Los Angeles County Sheriff’s Homicide detectives. Ortiz was arrested on Thursday at approximately 1 a.m. and was charged for attempted murder. He was arrested at the East Los Angeles Sheriff’s Station and is being held without bail. According to a press release from the L.A. County Sheriff’s department, they have not discovered a motive for the stabbing and have concluded that the attack was not gang-related. Zavala’s family has set up a gofundme account to help assist the family with any expense caused by the incident. The gofundme page is called Justice for Austin, for those interested in donating. Zavala is attending ELAC and is pursuing a career in accounting. The L.A. County Sheriff’s department release a video of the stabbing on Tuesday. It shows the suspect on the bus right before he attacked Zavala. The video cuts out before the attack. RIP. A young innocent kid trying to better his life. The only justice for the perpetrator is the death penalty.